I had a lovely custom job for Sarah Myatt Glass https://folksy.com/shops/SarahMyattGlass last week. A No7 ochre/red with big side pocket (front ones fill with glass bits!) and bigger chest pocket, completed with red stitching! 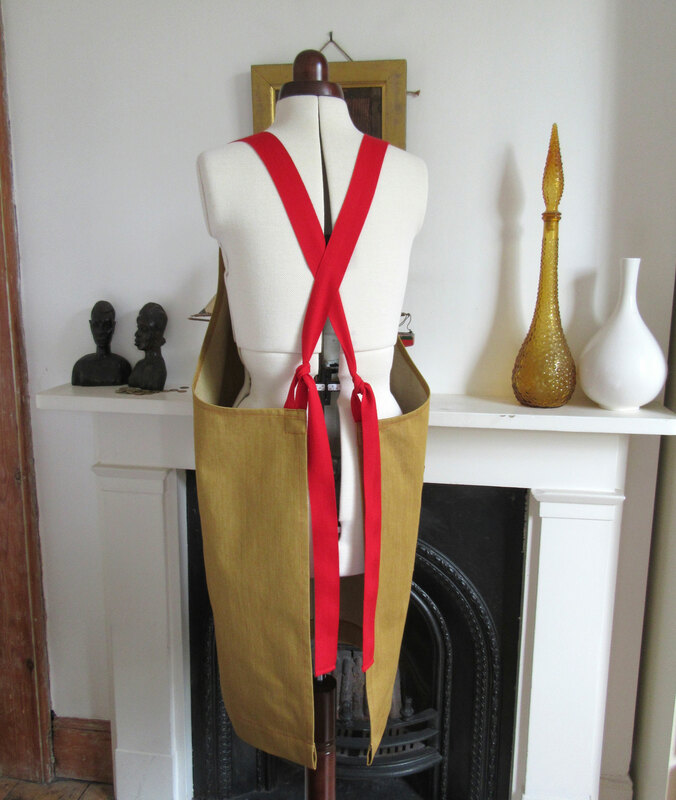 It’s so interesting finding out about how other craftspeople use their materials, and to be able to design aprons that really work for them. 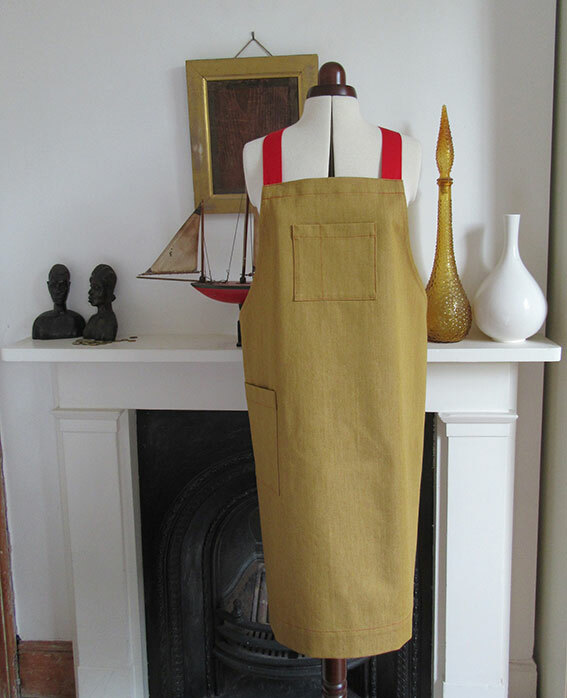 This entry was posted in Studio posts and tagged adjustable apron, custom apron, denim apron, work apron on August 10, 2016 by lisabenn.